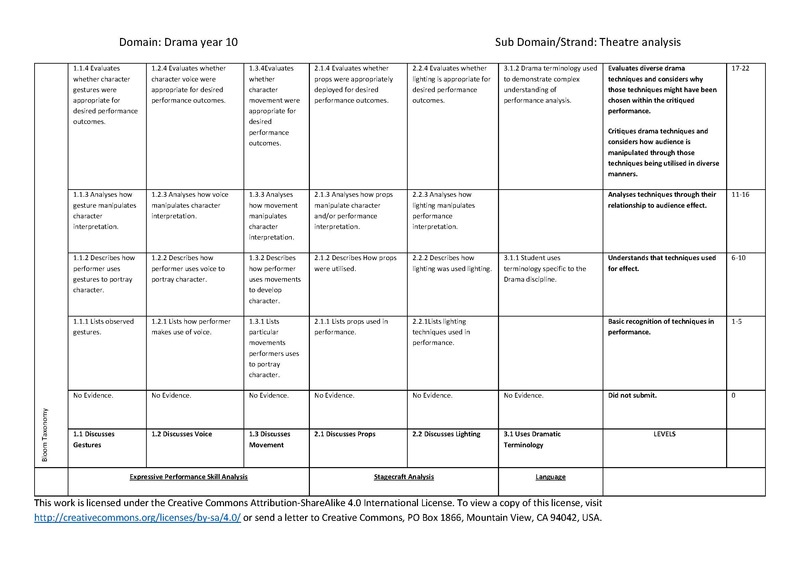 Purpose Examining student ability to understand and review theatrical performance by discussing how performers make use of expressive skills. Administer This assessment is administered via an hour long test. Record This is used as summative assessment, with the results recorded for the students’ final grades for the semester. Interpret The results are a recorded score out of 22. Use This is a summative assessment task. However, students also receive valuable feedback to inform their future work.